Are you a creative person? 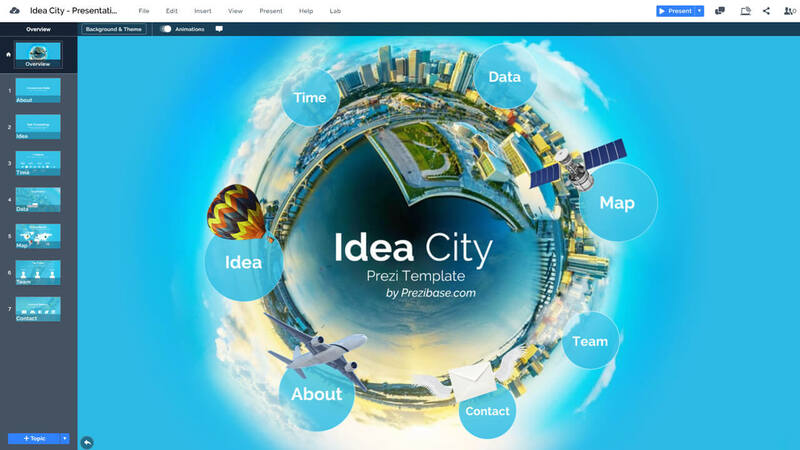 Do you dare to make an interesting presentation?A 3D Prezi Next presentation template with a small planet city concept. A sphere city globe with skyscrapers and an ocean on a blue sky background. Zoom into the topic circles with great visual transition effects, as the objects and background move separately. Use the default placeholder content or create your own presentation slides. Present about global topics such as international travel, tourism or about various business or technical innovations in the world. Take your viewers on a journey around the globe and build your own storyworld. The overview slide of the Idea City presentation template. A mini planet city on blue sky background. 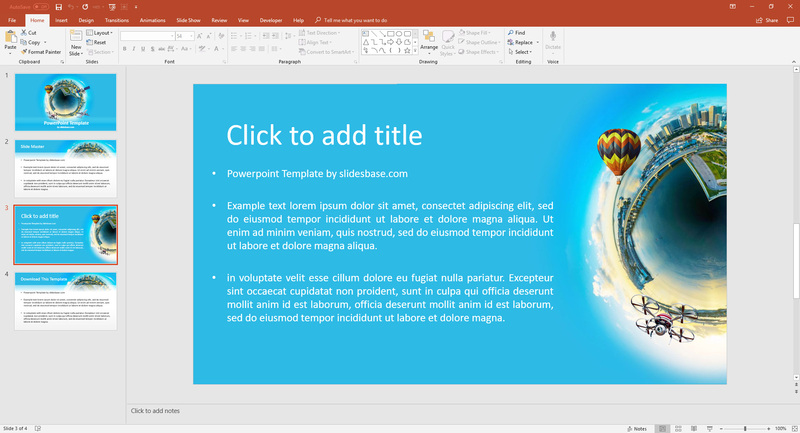 Template includes placeholders for your presentation title and subtitle on the ocean background. Each new topic of your presentation is revealed by zooming into the blue circles (easily change the colors). All adjustable and ready for your content. 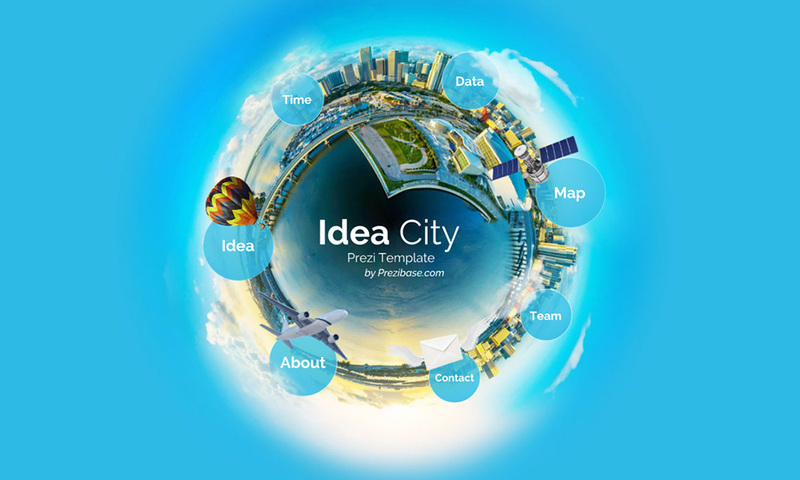 Idea City Powerpoint template is included with the purchase. PPT version includes 2 separate slide design layouts. One with white background and second with blue background and larger planet image on the left. This entry was posted in Best Prezi presentation templates, Prezi Next Templates and tagged 3d city, 3d city presentation, 3d small city, 3d world presentation, background city, business, city, city presentation, creative presentation template, creative world, creative world presentation, custom topics, eco, globe, hovering city, interesting presentation template, next template, ocean, parallax, planet, presentation template city, prezi next, round city, small planet, sphere city, tourism, travel, urban, world map.